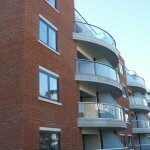 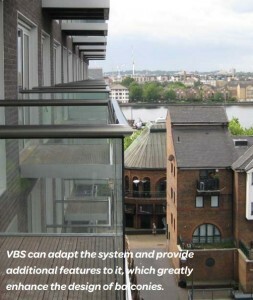 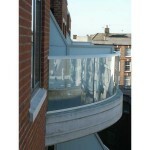 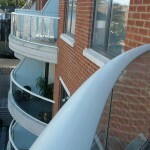 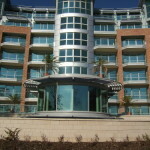 VBS delivers balcony excellence in London. 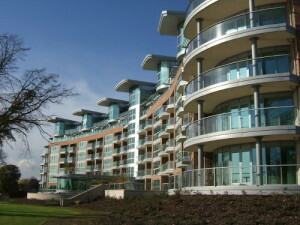 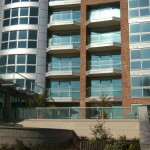 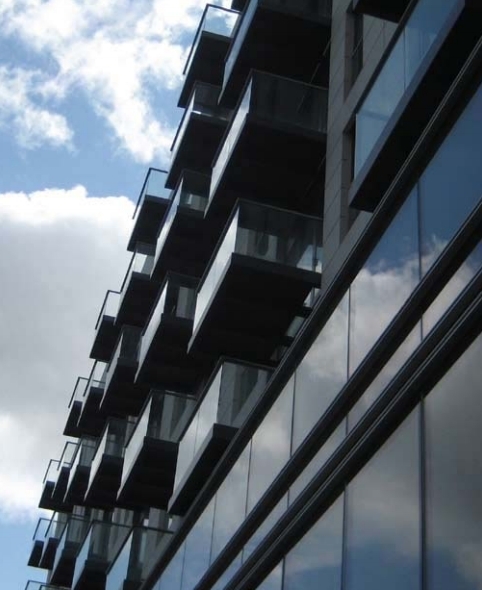 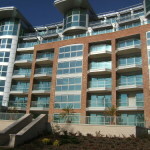 Clear glass balconies are a striking architectural design feature of the landmark Baltimore Wharf development in London’s docklands. 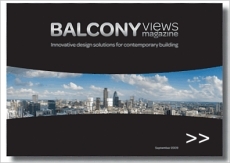 Kathy Wilkinson explains for Balcony Views how Viking Balcony Systems Ltd developed a custom-built balcony solution, realising the architect’s original vision for this expansive project that will transform the area’s skyline ahead of the 2012 Olympics. Breathing new life into the former London Arena site, Baltimore Wharf is an exciting and ambitious £150 million mixed development comprising private and affordable housing, retail, leisure and community facilities. Designed by architects Skidmore, Owings and Merrill Inc, it is among several signiﬁcant construction projects in the Docklands area being undertaken by international construction ﬁrm, Ballymore Group. 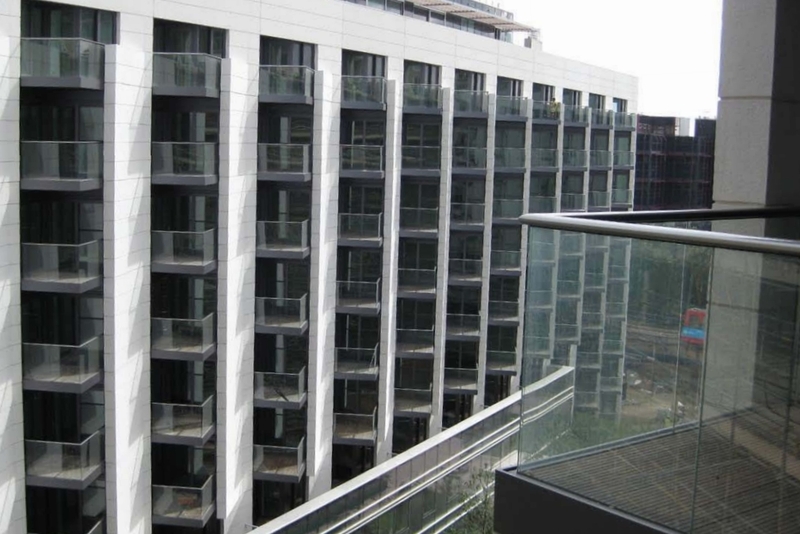 Construction started three years ago on the 6.8-acre former entertainment site, which is across the water from Ballymore’s recently-completed 50-storey, neon-lit Pan Peninsula residential development. 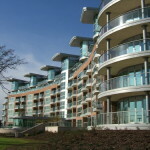 Phase One of the Baltimore Wharf development, which includes more than 600 apartments in ﬁve separate residential blocks, is due for completion at the end of 2009. 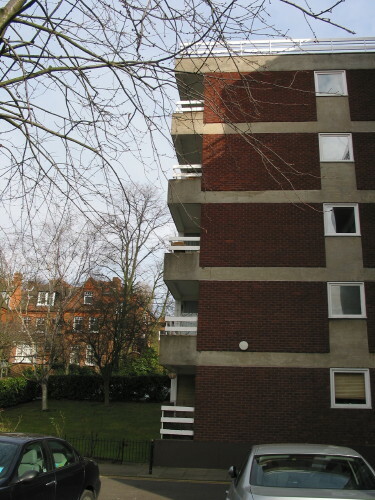 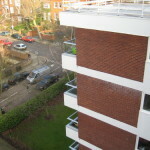 As a key architectural feature of the buildings’ external facades, the design and installation of the external balconies required a particularly considered – and inventive – approach. 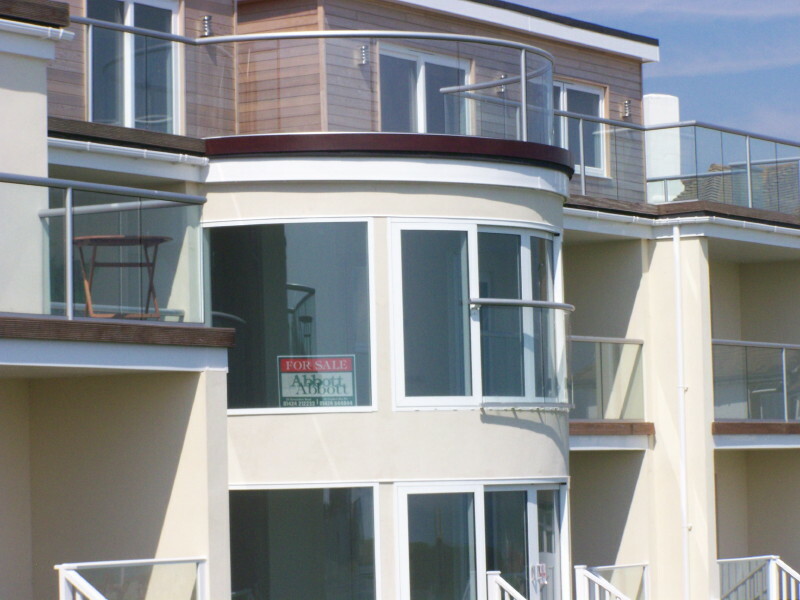 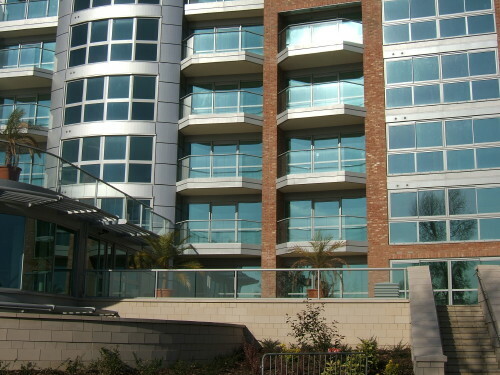 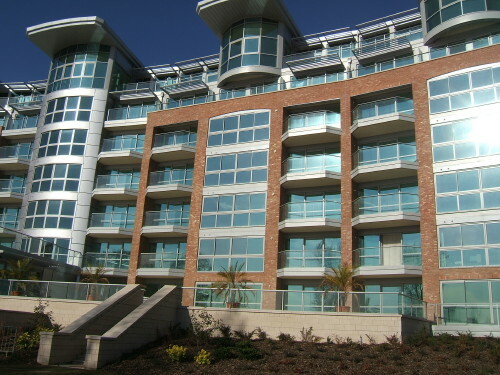 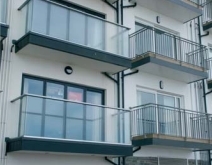 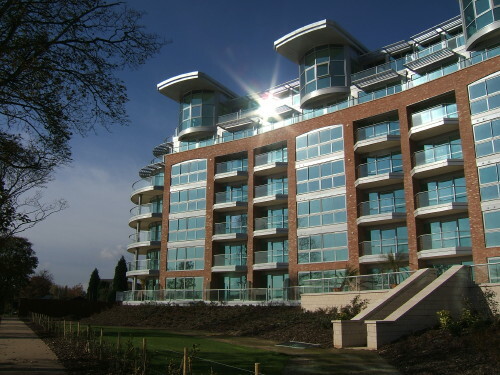 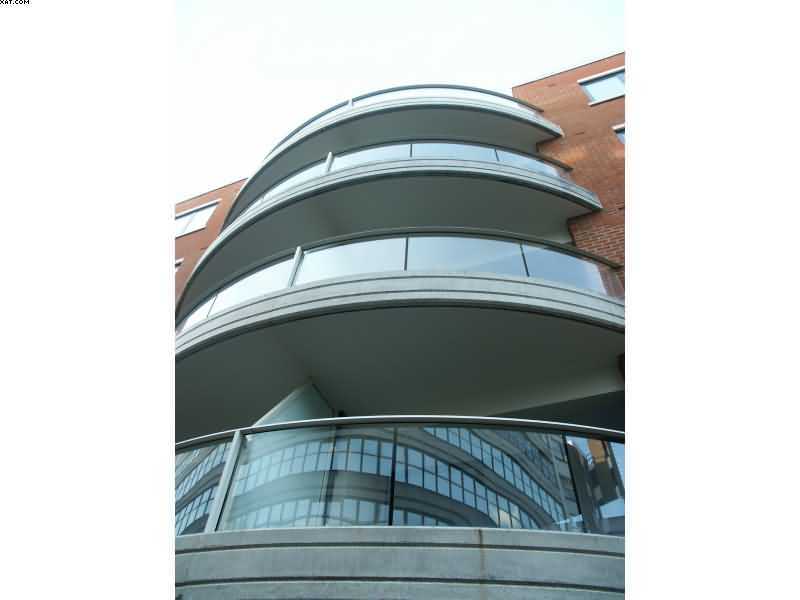 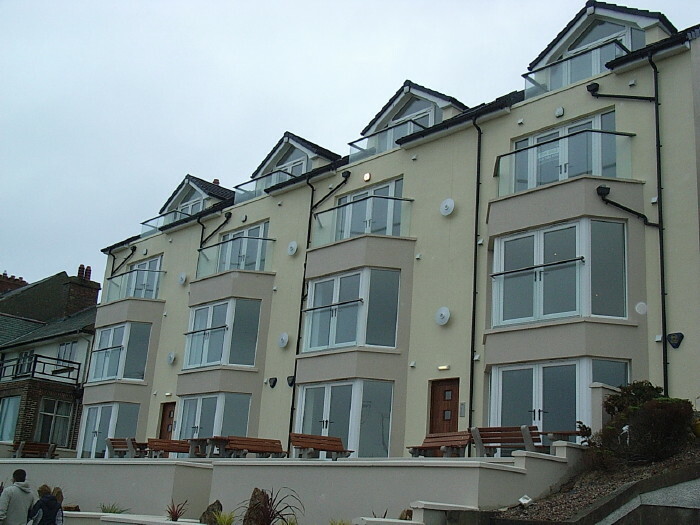 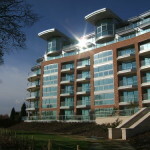 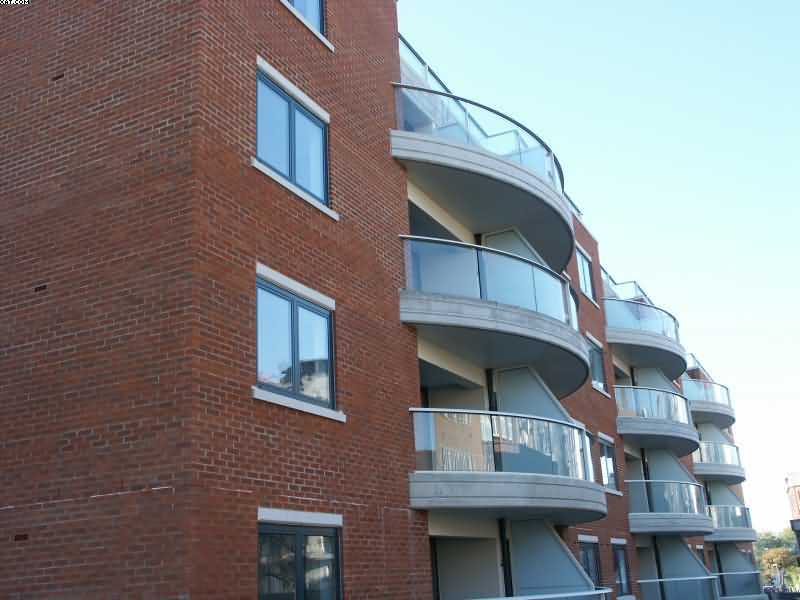 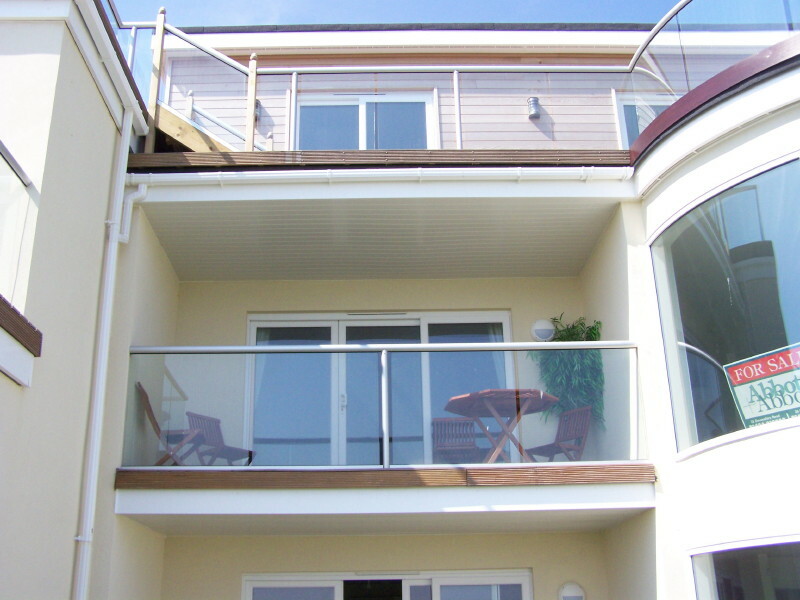 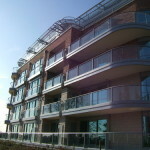 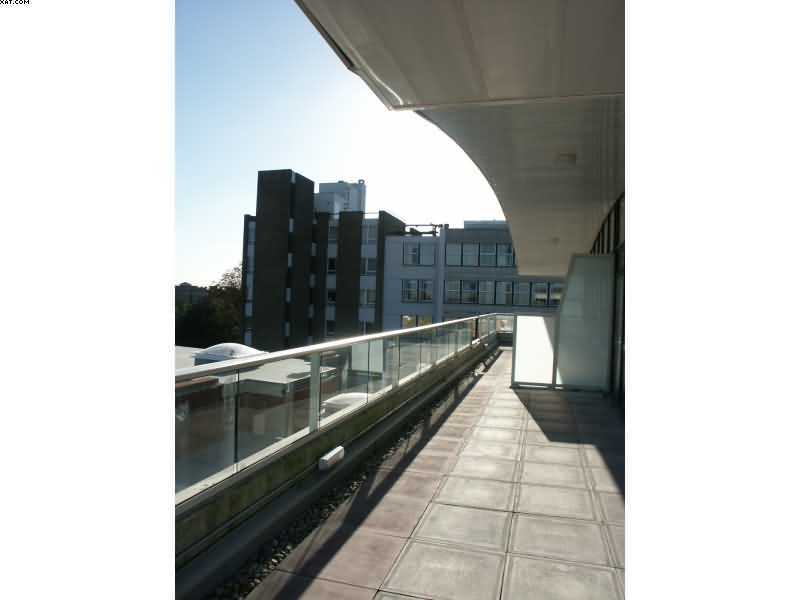 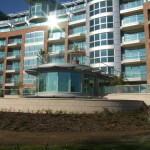 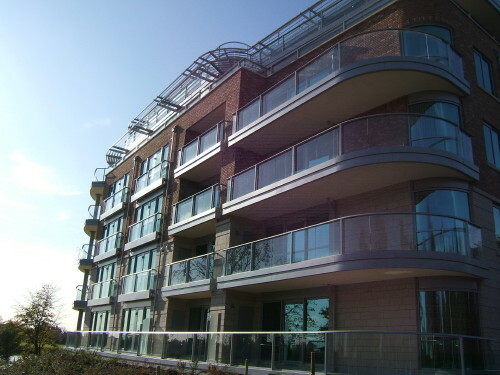 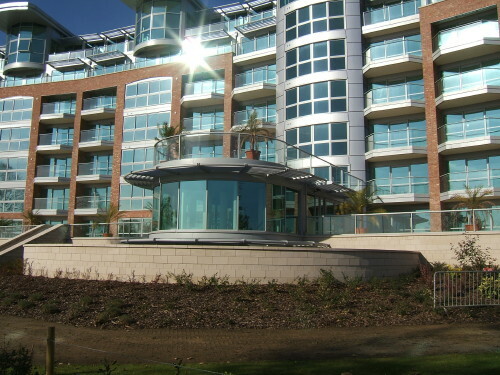 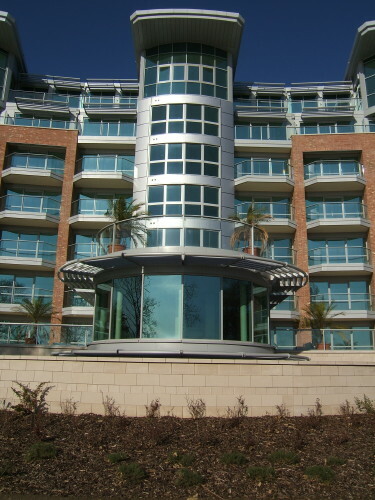 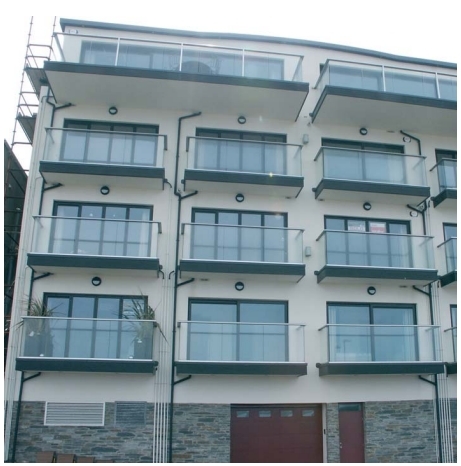 Working closely with the architect and developer, commercial balustrading specialists Viking Balcony Systems Ltd (VBS) developed the bespoke 21st century balcony solution to suit the exacting requirements of the multi-storey buildings and, just as importantly, the £3 million budget. 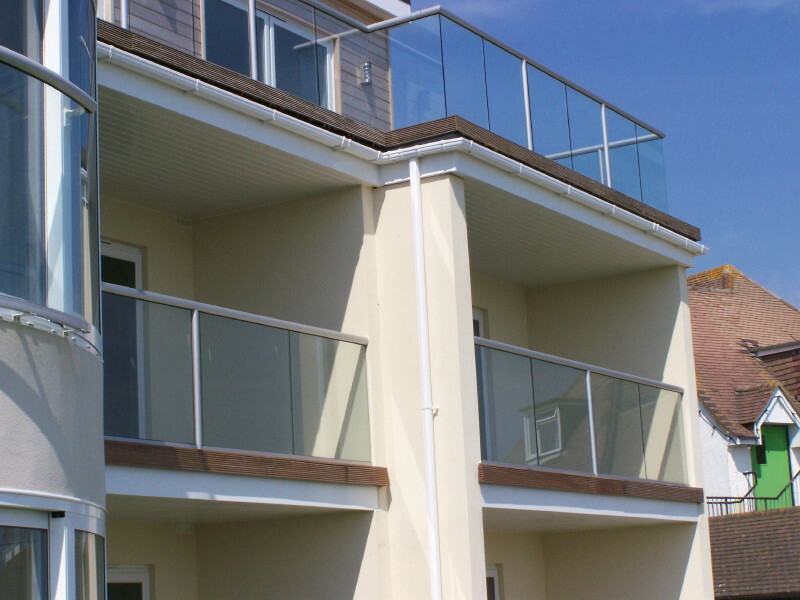 The result is a ‘one-stop’ balcony system solution including frame cladding, decking and balustrade, delivered flatpacked, complete and ready to install. 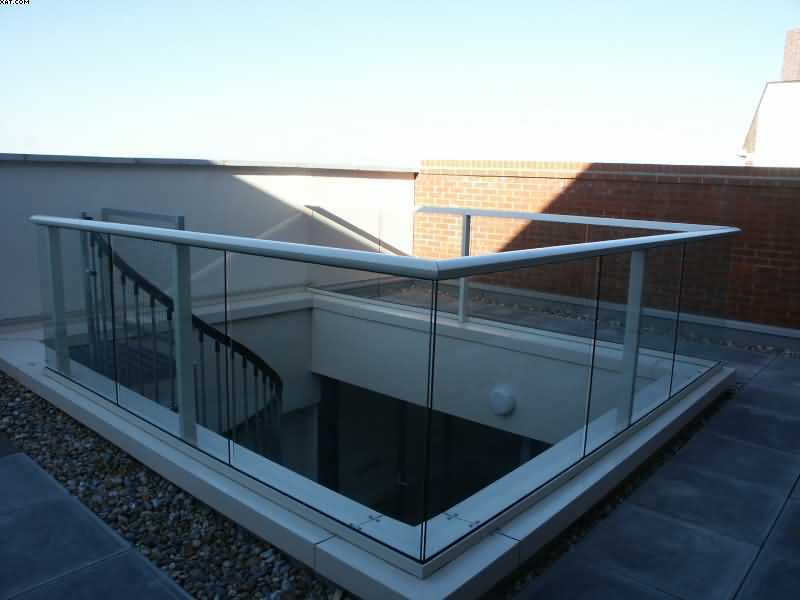 VBS was chosen for its ability to offer a complete design, supply and install balustrading package using a no-maintenance glass and aluminium system. 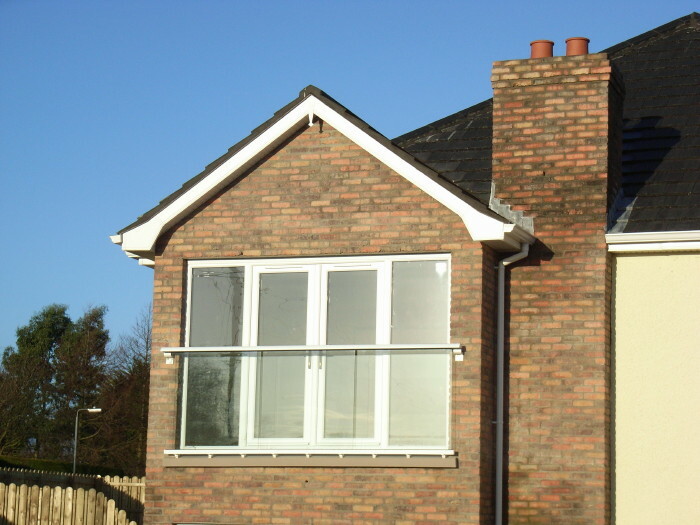 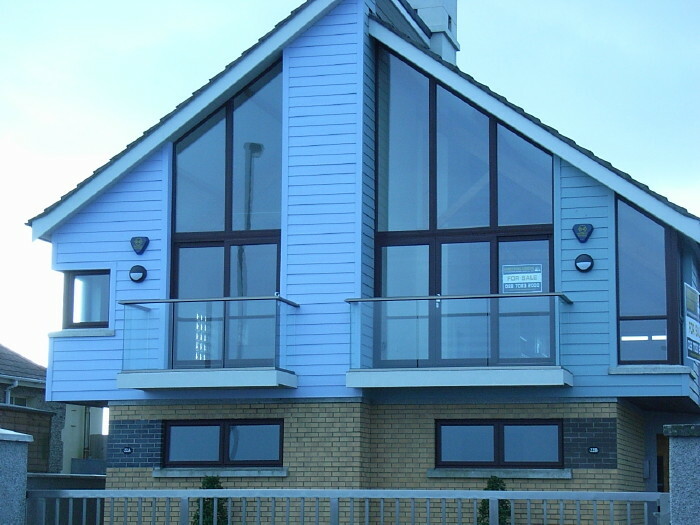 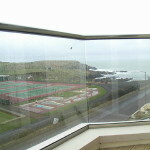 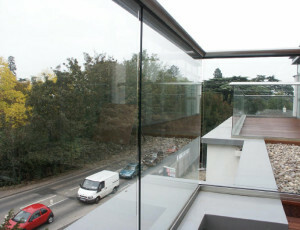 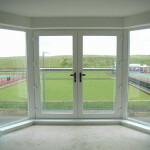 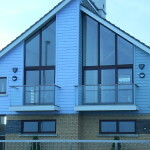 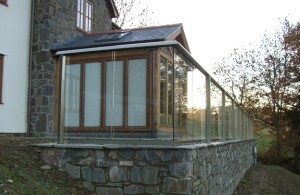 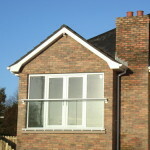 This offers a competitively priced and aesthetic alternative to structural glazing. 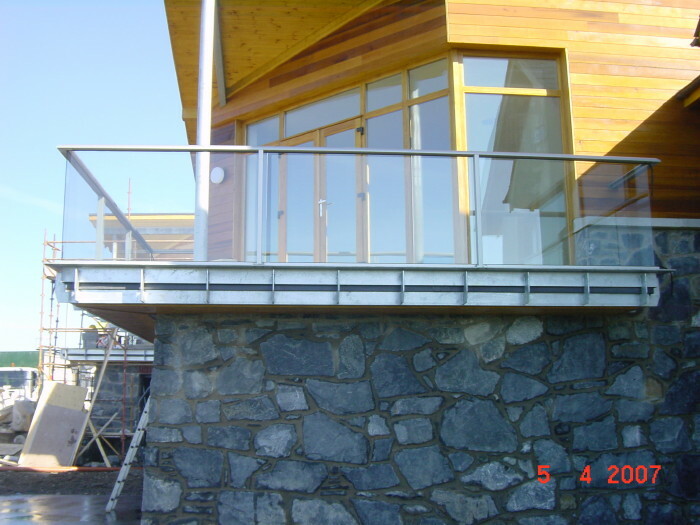 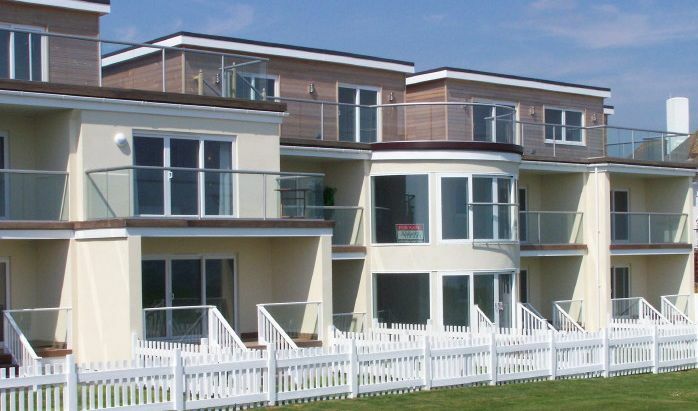 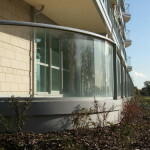 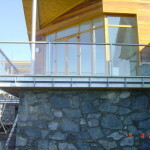 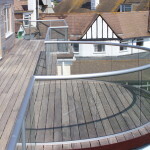 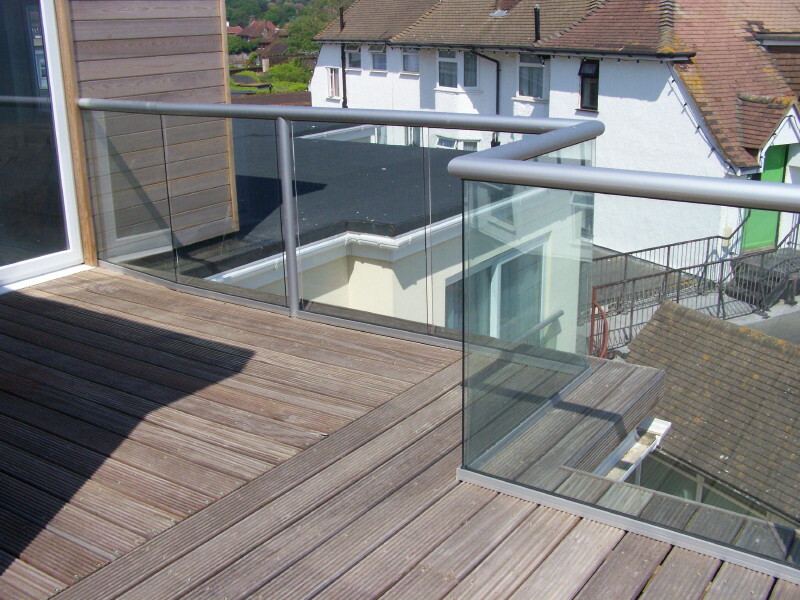 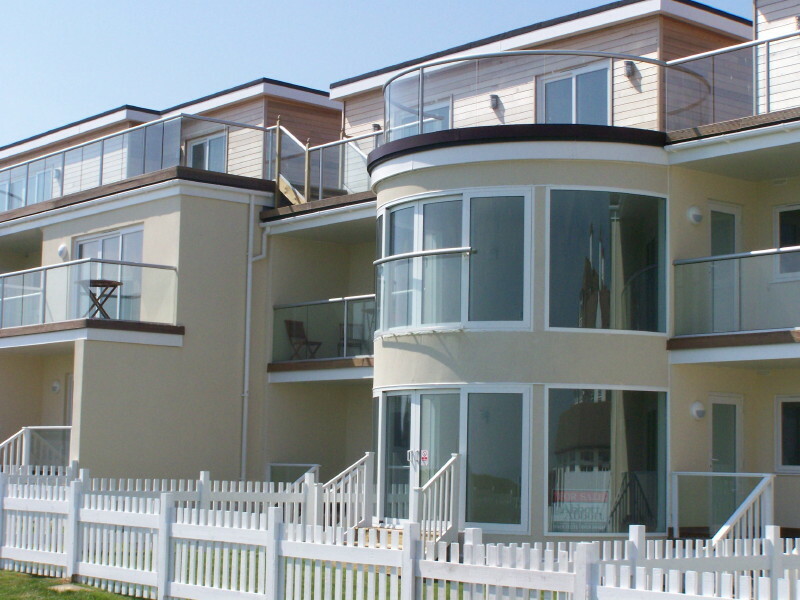 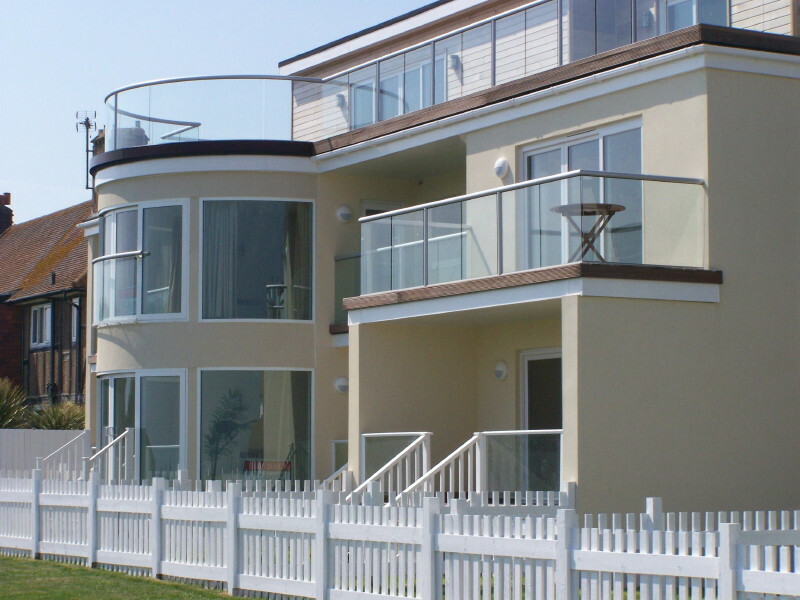 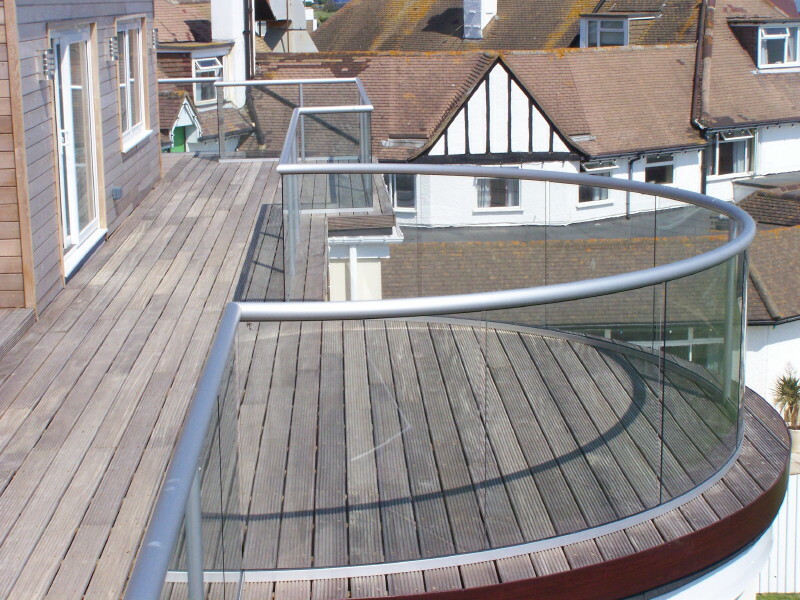 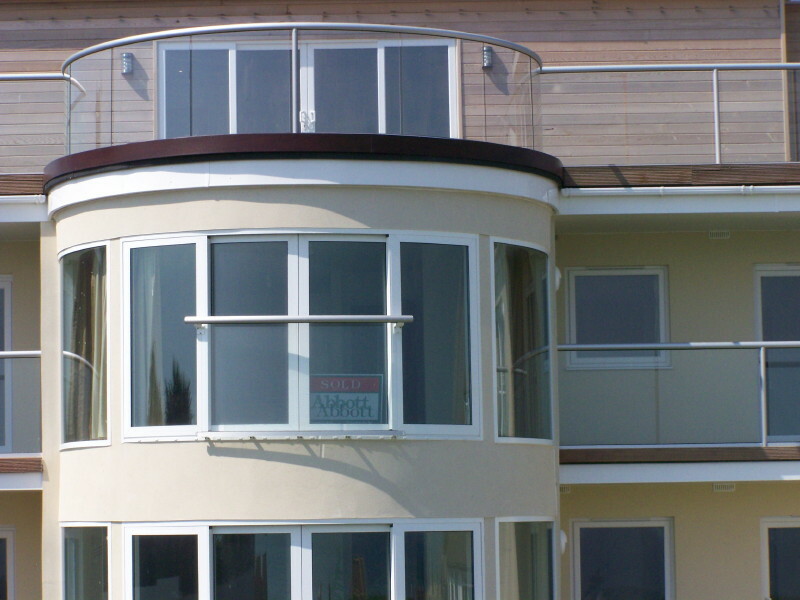 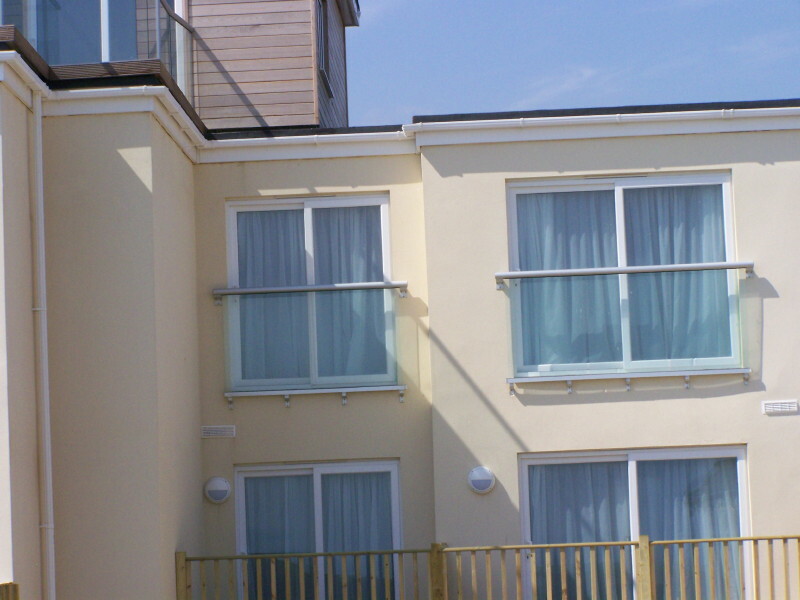 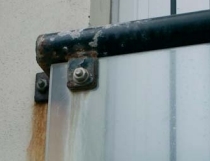 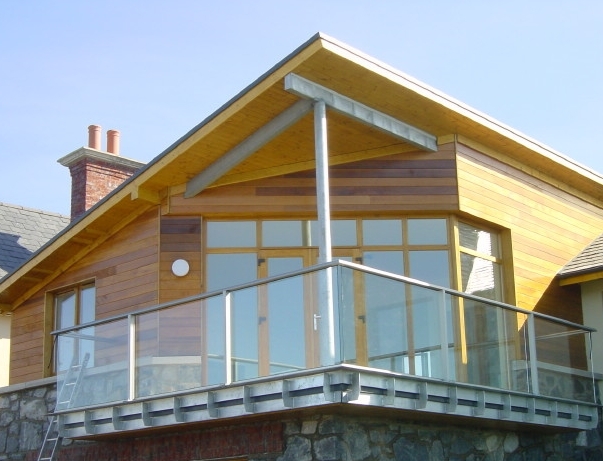 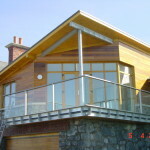 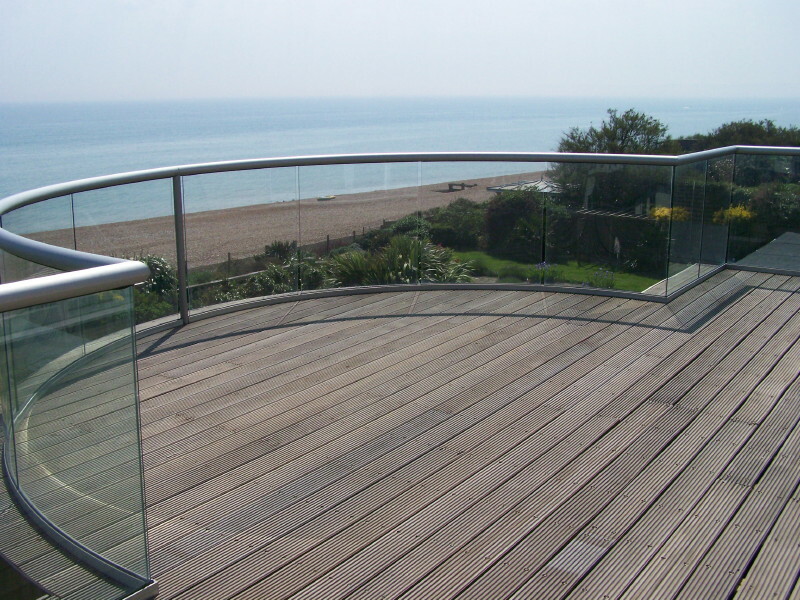 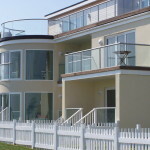 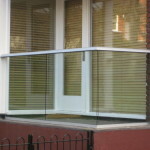 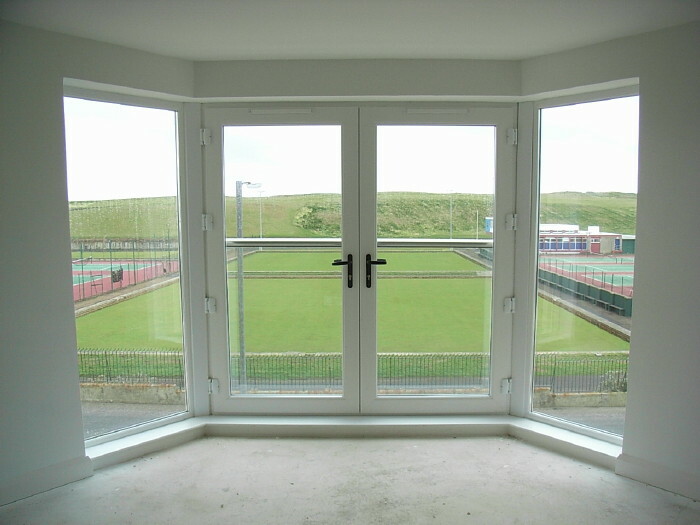 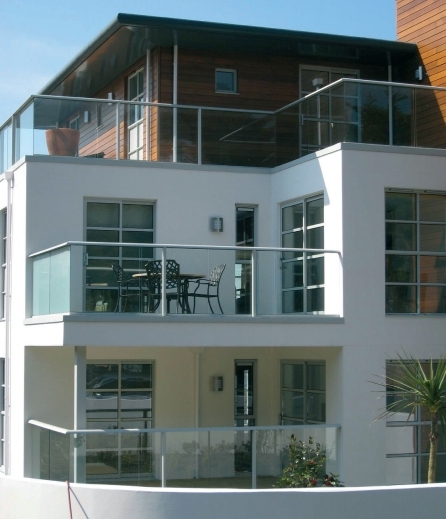 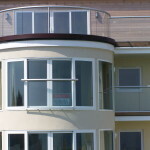 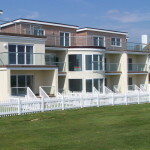 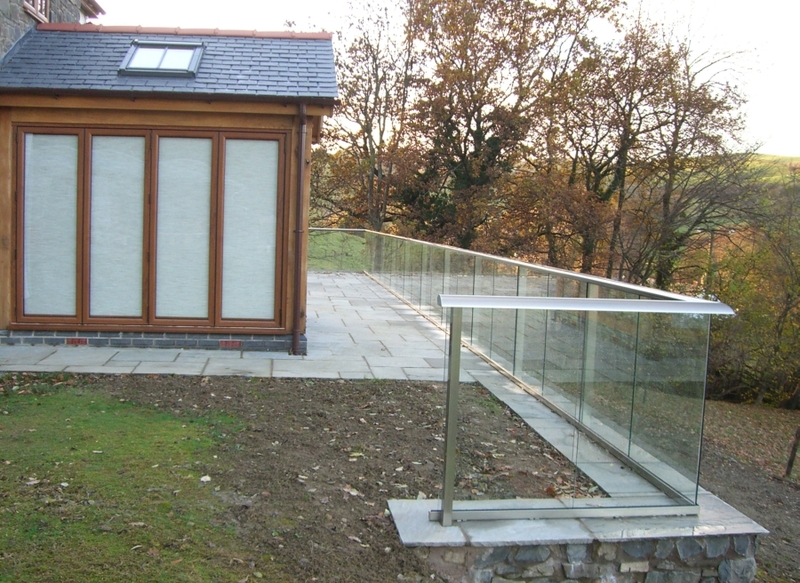 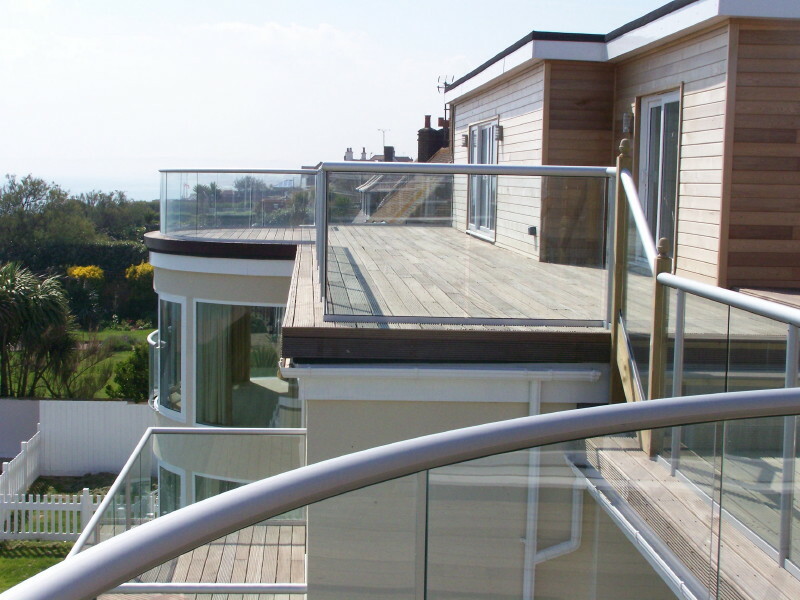 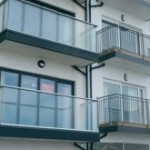 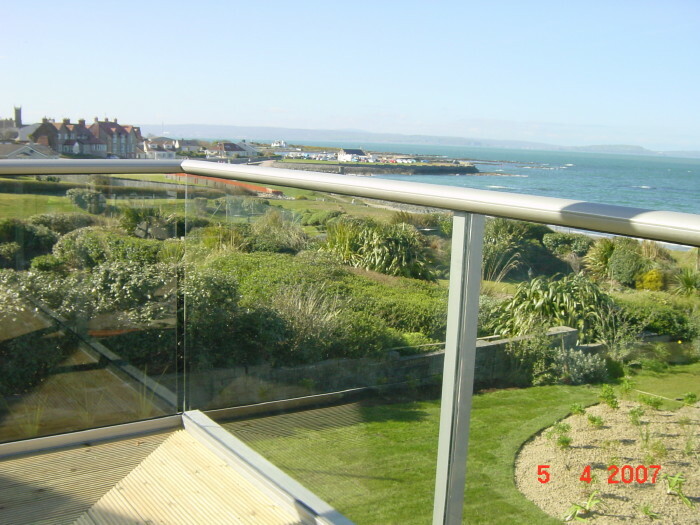 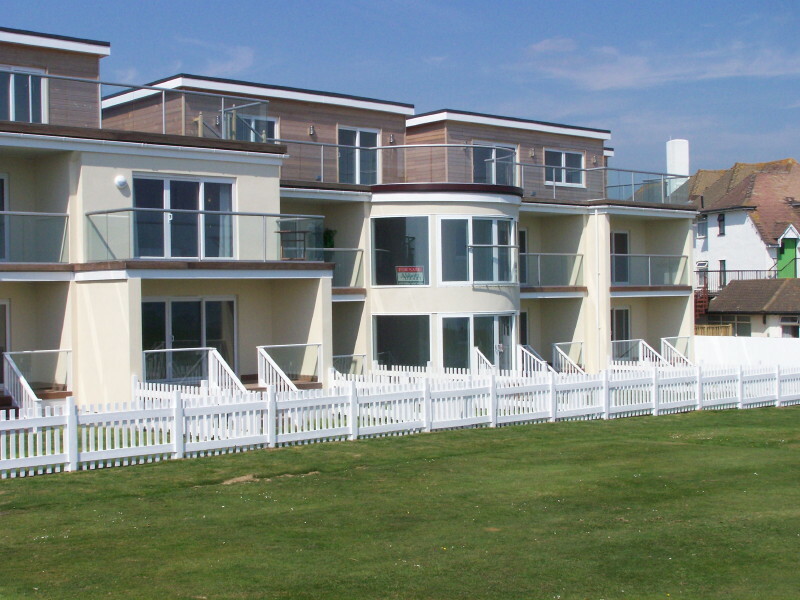 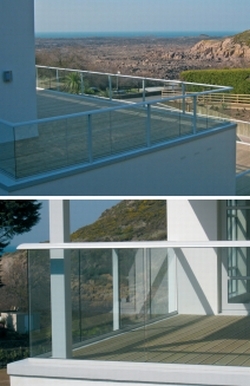 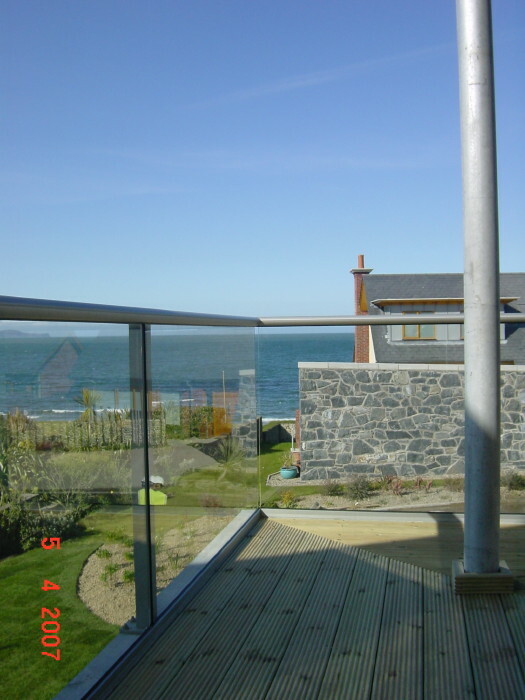 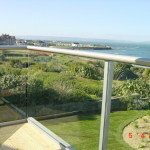 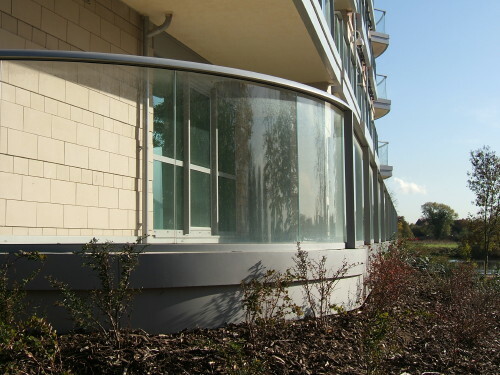 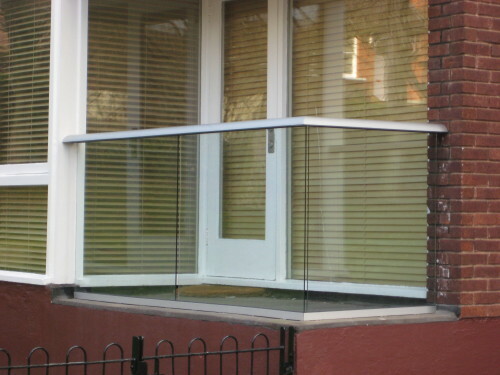 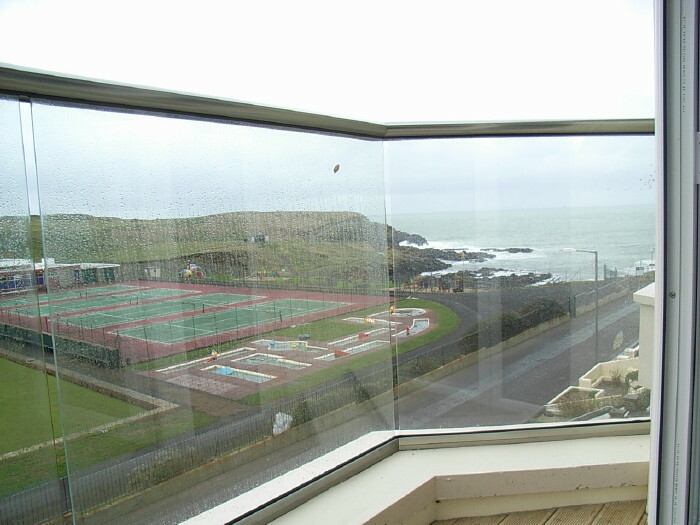 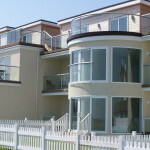 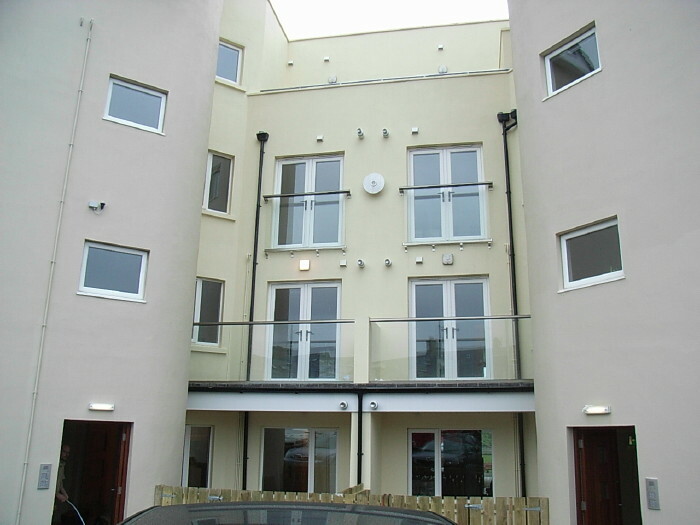 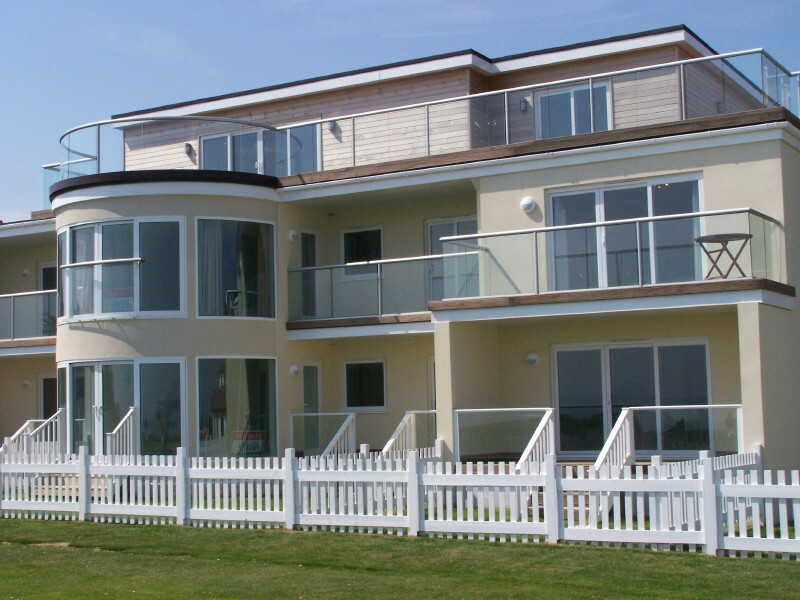 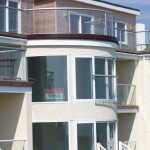 Instead of posts and structural glass, the aluminium hand-railings take the load to provide all the required strength and support and meet all the relevant building regulations. 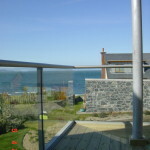 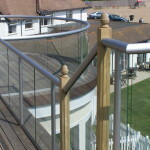 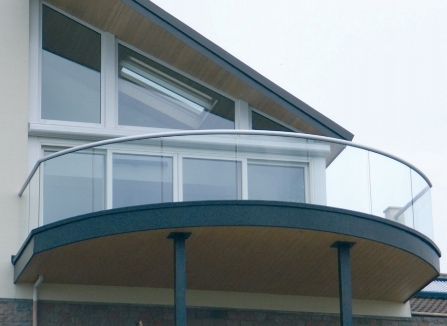 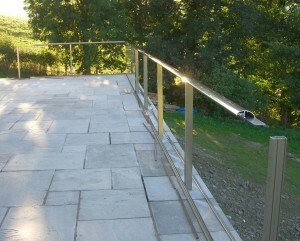 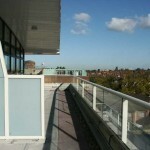 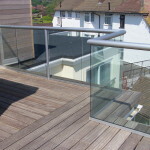 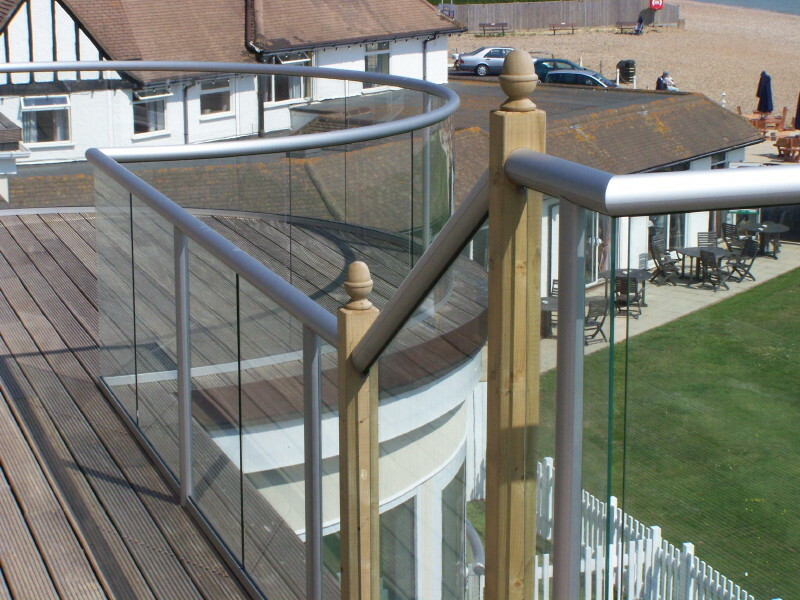 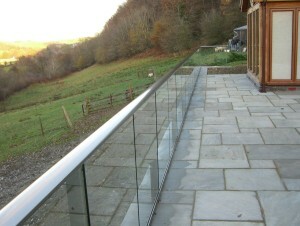 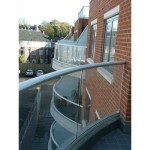 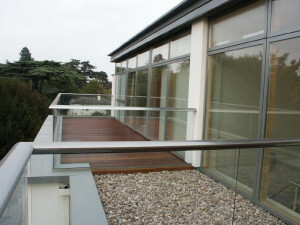 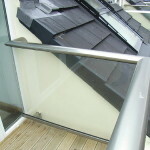 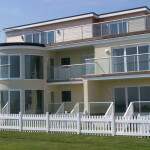 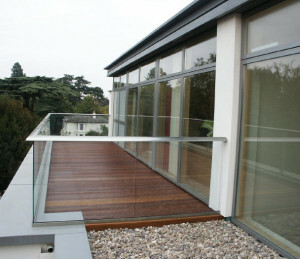 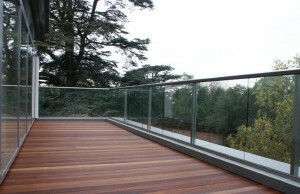 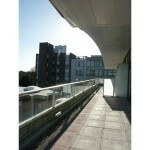 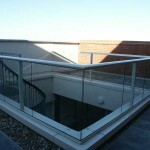 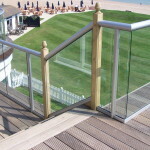 Utilising the handrail allows the balustrade to span certain lengths without the need for vertical posts. 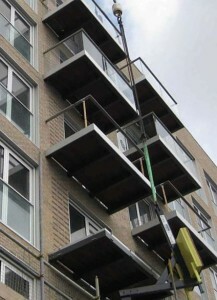 Once these are exceeded, vertical posts must be introduced. 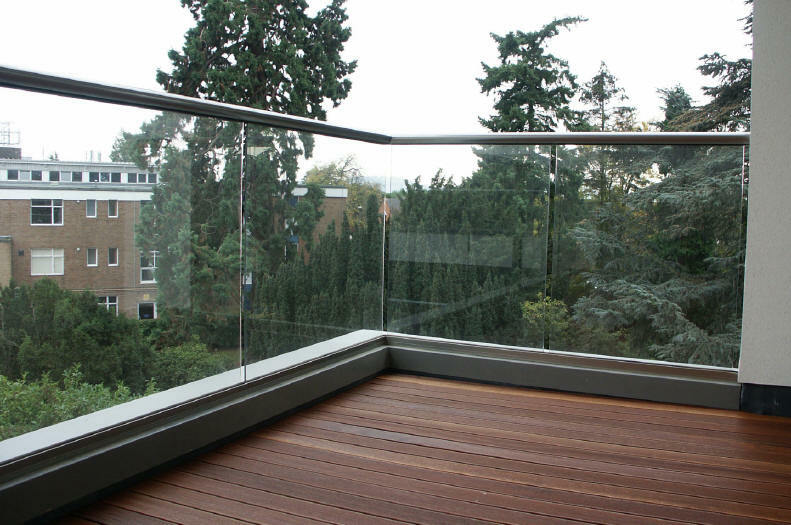 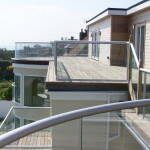 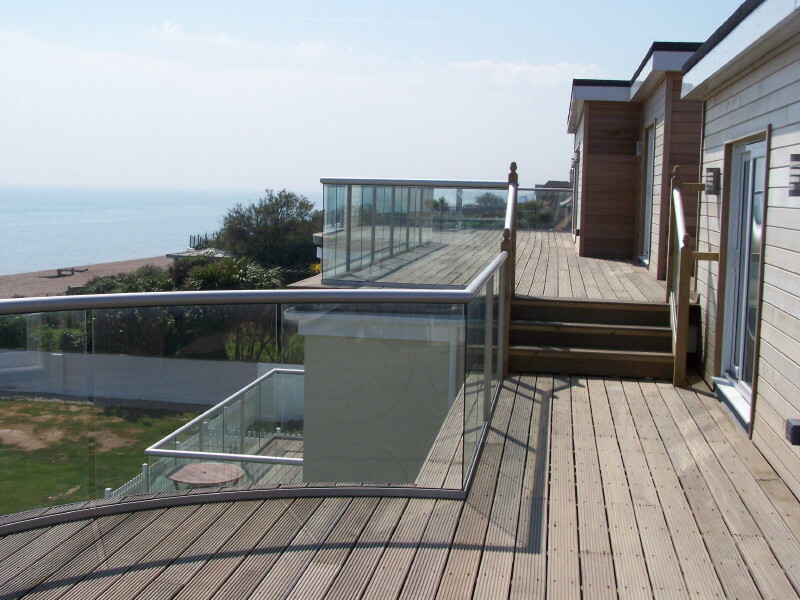 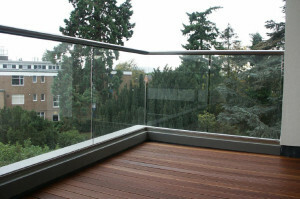 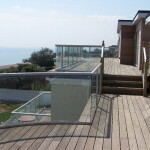 Because the Balcony system takes the load at the handrail, rather than the base, up to 3.8-metre widths of straight glass balustrading can be achieved without the need for vertical posts. 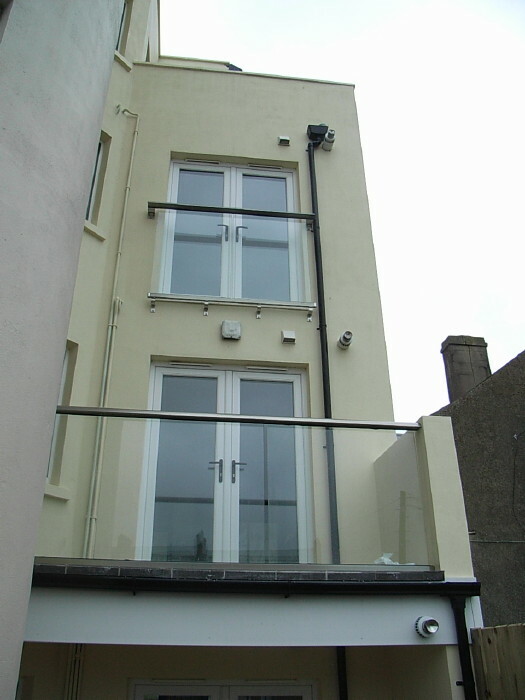 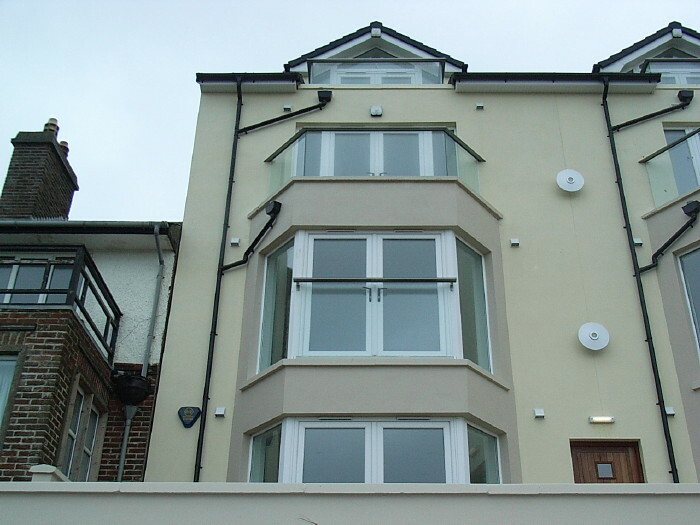 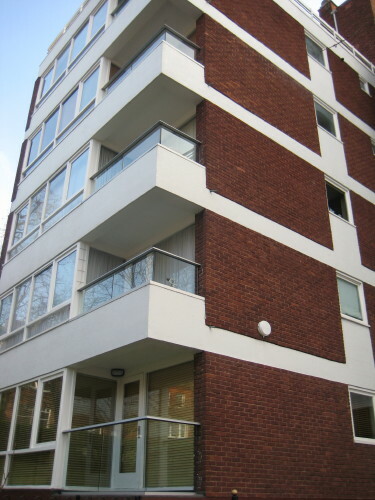 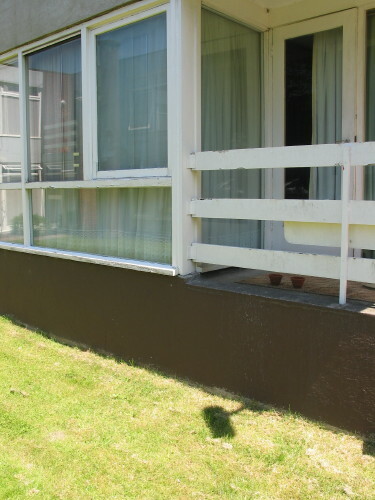 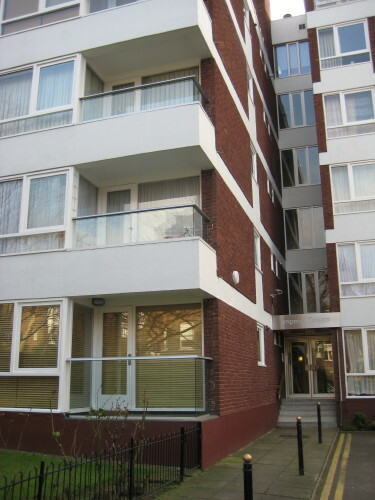 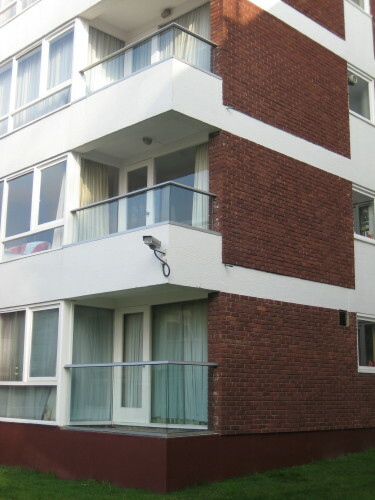 According to VBS Director Allan Grainger, their ability to meet the architect’s original balcony design criteria – to present a perfectly flat front fascia to seamlessly fit the main steel and the glazing track – was of fundamental importance. 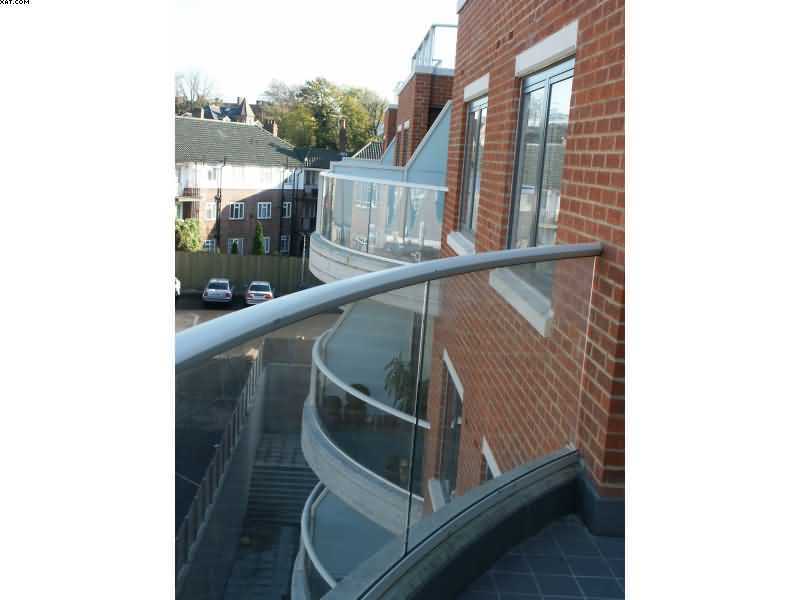 A new aluminium handrail, finished in Royal Chrome to look like shiny stainless steel, and lower track extrusion were specifically designed for the Baltimore Wharf apartments. 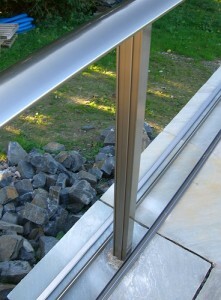 This allows for relatively simple fitting to the main steelwork. 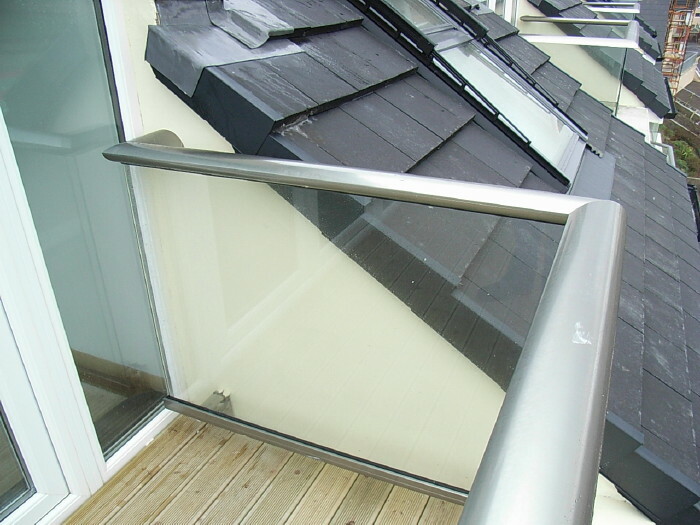 Handrails are fitted to window mullions using a special single stage cladding that clips on to the speciallydesigned lower track. 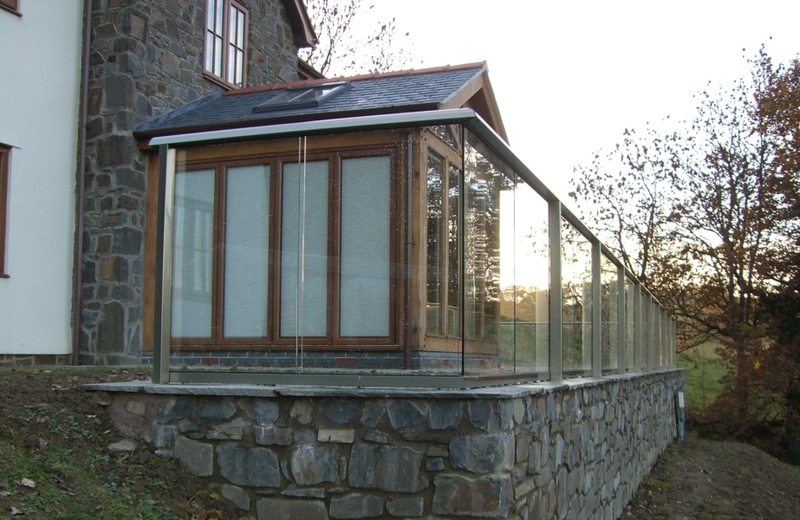 “Clear structural glass was originally specified. However our solution using 4mm + 4mm laminated glass to retain a clear view, without the need for posts and at a very competitive price satisfied the key requirements for this prestigious project,” explains Grainger. Grainger suggests that while the fascia is not in itself revolutionary, what made the design concept such a success was ‘going the extra mile’ to ensure that the original vision of the architect was maintained during the design period. 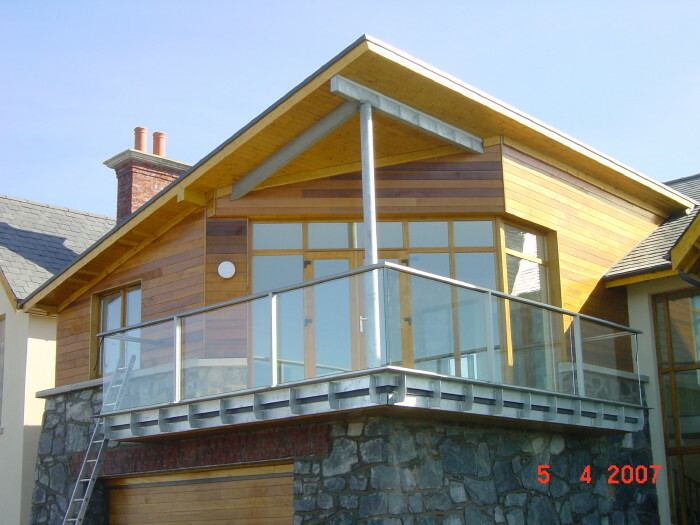 This was achieved through close collaboration with the architect and developer from the early planning stages to meet the challenges of making the design work with no posts and to keep the structure down to a minimum. 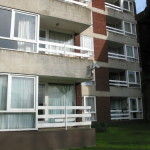 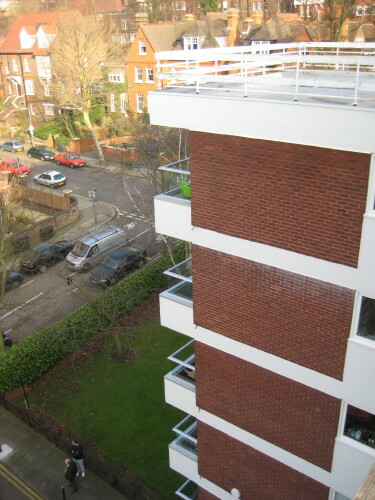 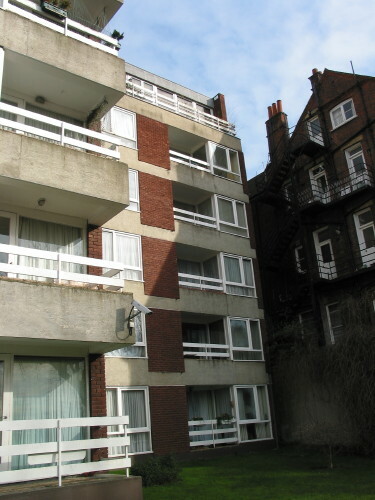 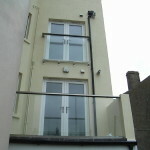 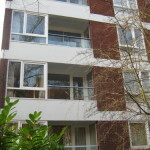 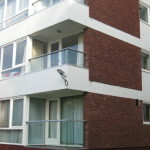 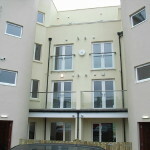 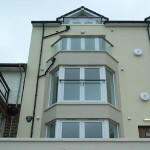 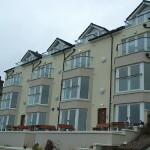 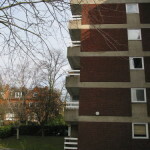 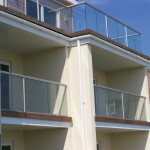 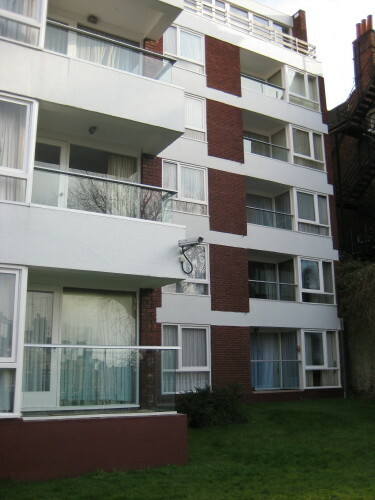 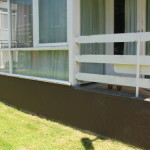 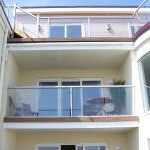 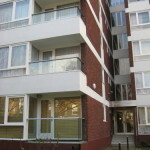 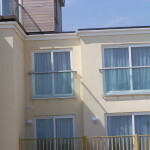 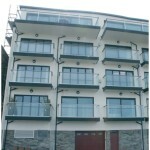 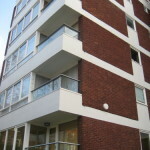 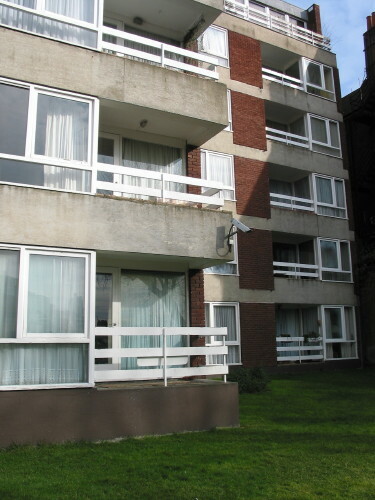 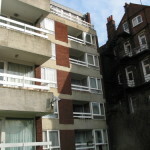 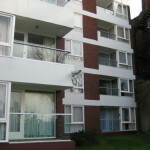 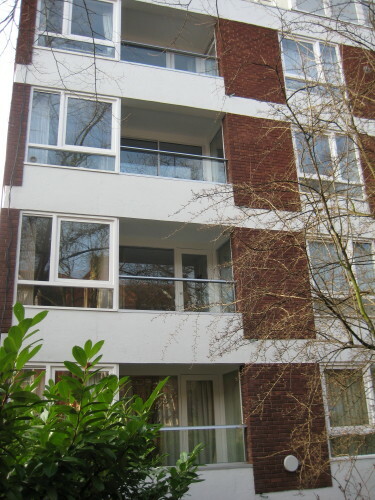 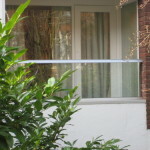 Measuring 3.0 metres x 2.0 metres and 2.3 metres x 2.0 metres, the balconies did not require any posts as they were within the ‘no post limits’. 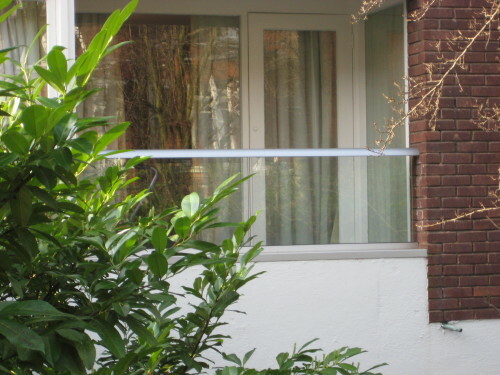 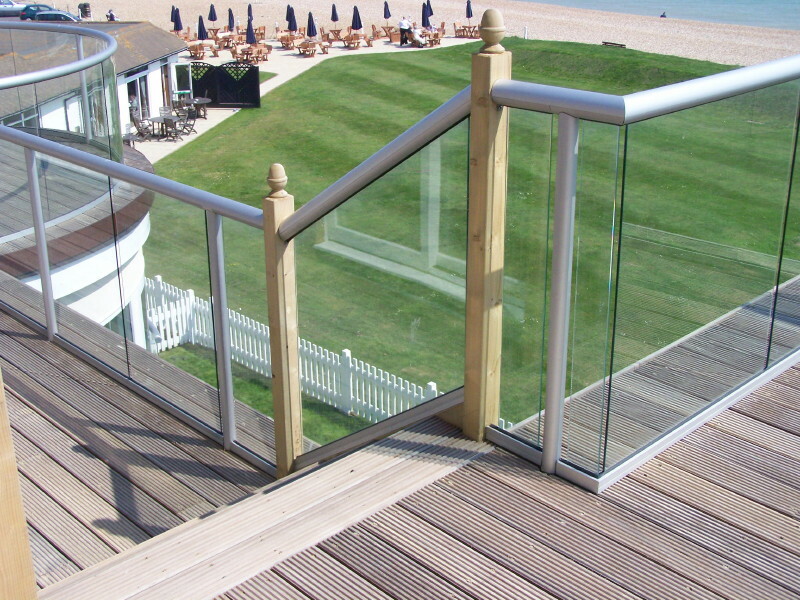 Because the VBS system takes the load at the handrail, rather than the base, up to 3.8-metre widths of straight glass balustrading can be achieved without the need for vertical posts. 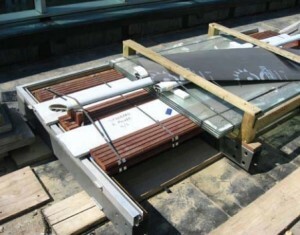 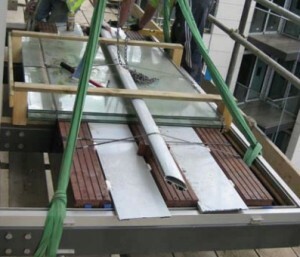 An added advantage of the system – particularly for high-rise buildings – is that panel replacement, if needed, can be done quickly and safely from inside. 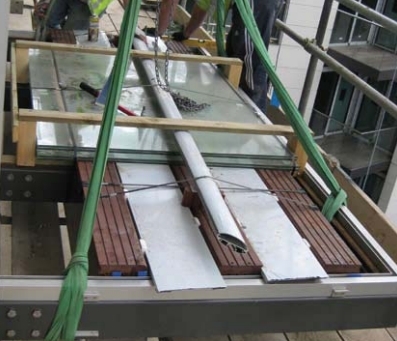 Panels are supplied up to 1.2 metres in length for ease of transportation and installation. As well as supplying 377 balconies for the project, VBS also solved the logistical difficulties of moving them through the buildings. 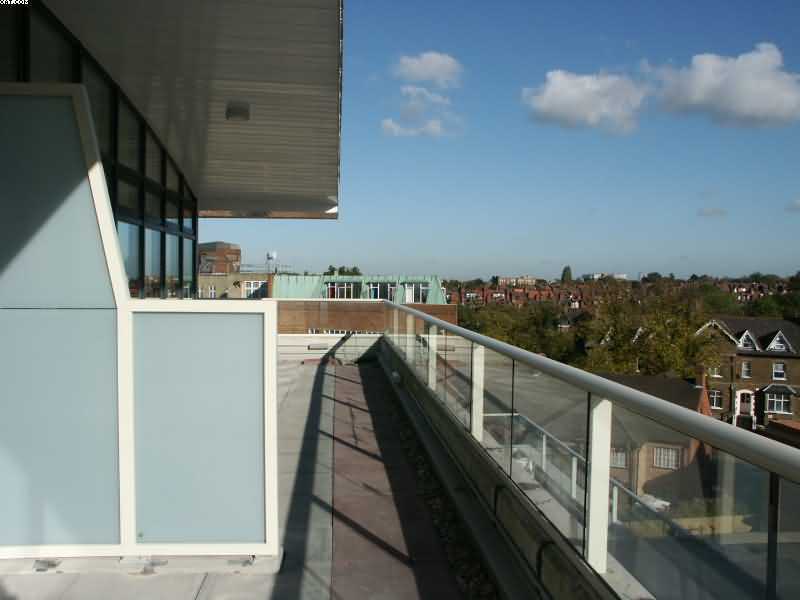 The team spent over six months developing a flat-pack balcony that could be lifted into place and installed in the shortest time possible. 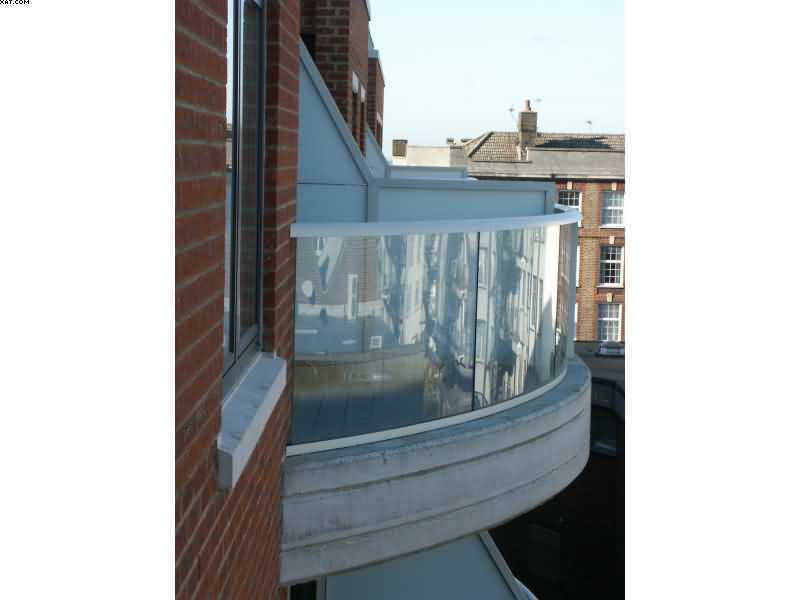 Although it will be some time before residents can make full use of the extra outdoor space and clear views provided by the glass balconies, their impact is not lost on Ballymore Group’s Building Envelope Manager, Mark Jackson, who comments, “Balconies are a desirable addition to apartments as they create an extra, practical living space where occupants can sit outside and relax. The clean lines of the aluminium hand railing and glass panels create sharp-looking balconies that really enhance the external façades. Whether made of stone, wood or cast iron and now glass, the balcony is an enduring and popular building feature that has been with us for centuries. 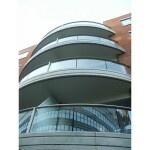 Design has continued to evolve to meet the changing face of architecture. 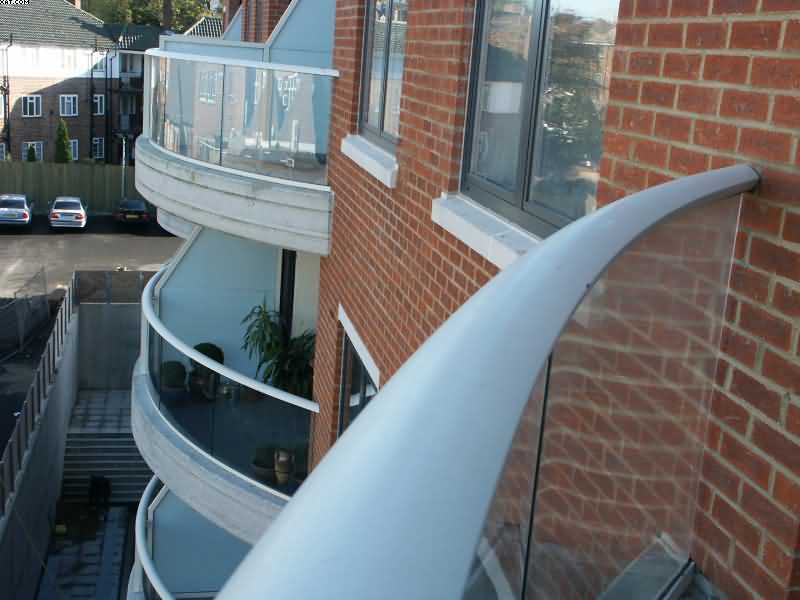 The Baltimore Wharf project represents another step forward in the evolution of balcony design, taking it firmly into the 21st century. This entry was posted in Projects on October 29, 2013 by Balcony Systems.